Black radical historian, scholar and agitator-prophet W.E.B. 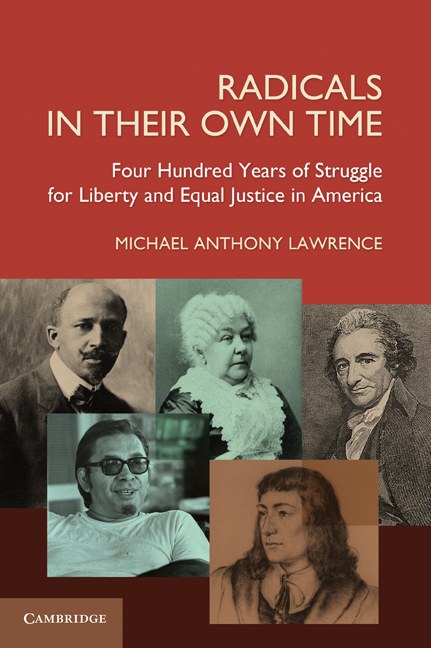 Du Bois (who was born during Andrew Johnson’s administration in 1868 and died shortly before Lyndon Johnson’s presidency in 1963) is the fourth of five individuals profiled in Radicals in Their Own Time: Four Hundred Years of Struggle for Liberty and Equal Justice in America. Like the other four radicals, Du Bois was committed to core Enlightenment principles and “had a towering sense of the Right and of the Just, a basic faith in reason, and a passionate commitment toward achieving the just through the use of reason,” explained Herbert Aptheker. He tirelessly challenged government to repudiate laws and practices that institutionalized white supremacist principles and thereby to accept – to tolerate – black people as equals under the law. Perhaps not surprisingly, controversy followed Du Bois during his life and beyond, to the point where the United States government effectively disowned him during the last year of his life by denying the renewal of his passport while he was abroad in Ghana; and the town of his birth, Great Barrington, Massachusetts, only grudgingly, after a bitter 1969 struggle, established a memorial park at his boyhood home. Yet, Du Bois advanced a principled moral approach to race relations and society that pre-destined the end of Jim Crow and won the hearts and minds of his successors who carried on the Civil Rights Movement.